Interest in Europe’s premium men’s club handball competition continues to grow. Interest in Europe’s premium men’s club handball competition continues to grow according to analysis of the 2010/11 season by German-based media, marketing and communications company, Global MMK. 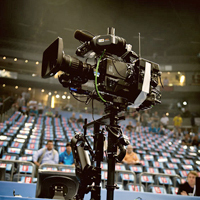 Figures show that the VELUX EHF Champions League was broadcast live in 76 countries worldwide, with more than 25 million people watching the final round of the competition, the VELUX EHF FINAL4, played in Cologne, Germany at the end of May 2011. 2010/11 season: Over 790 hours were shown live, a 27% increase on the previous season. More than 310 million TV viewers followed teams such as THW Kiel, Ciudad Real (now Atletico Madrid), FC Barcelona and HSV Hamburg as they attempted to lift the coveted VELUX EHF Champions League trophy. In comparison with the 2005/06 season, viewers of TV stations, where ratings are measured, have almost doubled. Markets including Poland and Romania and are rising to compete with the traditional handball markets of Germany and France, whilst opening up new possibilities in the direction of Eastern Europe. One particular highlight in the past season was the positive development outside of Europe with feeds being taken in Central and North America and Asia. In Central America, Mexican television station TDN showed all four matches from the final weekend of the competition – the VELUX EHF FINAL4 - whilst North America now regularly shows games on the MHZ Network. Commenting on the figures, Peter Vargo, Managing Director of EHF Marketing GmbH, said: "The VELUX EHF Champions League is attracting more and more interest in different TV markets because of the high standards we have set. "Through the development of a unified look and the continual development of the product we are able to offer TV stations an attractive and professional product that showcases the best teams and stars from the sport." A total of 1,580 hours of the very best women’s handball action shown on television last season – an increase of 33.9% from the previous season. Over 650 hours of live TV coverage of the EHF Women’s Champions League. More than 110 million people in the 17 countries analysed watched the premier competition in women’s club handball.